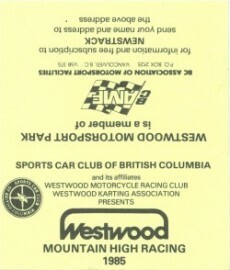 Vintage Racing Club of BC | A Blast from the Past! 20 Aug A Blast from the Past! 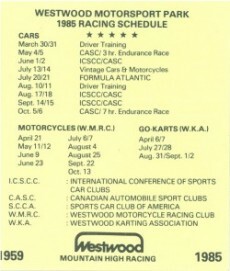 Thank you to Brian Meakings for passing on this schedule for the “Mountain High Racing” at Westwood for 1985. Those were the days!